Read this nice article about the importance of thermography in predictive maintenance of electrical systems (Medium Voltage/Low Voltage). It is written by one of the member of this community and we think you’ll enjoy the thermal point of view of his essay. If you’d like to write your own article too, we can publish :) it simply send us a mail. Proactive and accurate prediction of impending faults in electrical systems can never be over-emphasized. Redundancy, most of the time, is not practical even in most important circuits and any component failure escalates to functional failure instantly. Many techniques are used for early detection and replacement of faulty components before they fail completely and thermography is one of the widely used techniques. Breakdowns in an electrical supply system are always a nightmare with respect to financial aspects of an industry. Constant supply of electrical power is part and parcel of any system being fueled by electrical power. Ability of planning and replacing a faulty component in advance saves the down time and prevents the production loss significantly. Identification and mitigation of abnormally functioning electrical elements can also reduce electrical fires and short circuits. 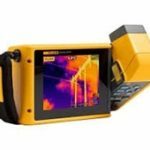 Types of thermography and how it actually works? a)	Thermometer based condition monitoring. b)	Infrared scanning or IR thermography (IR waves from the hotspot(s) are detected and analyzed by an IR camera). Infrared light is just like visible light in its physical properties. It just behaves like a normal wave of light and can be focused, reflected and absorbed. A lens is used to collect and focus the available light onto a thermopile. Thermopiles generate heat in relation to exposed IR energy. Any hotspot(s) present in the system are indicated on graphic user interface. In a typical MV/LV substation, infrared thermography is conducted on control panels, switchgears, boards, electrical motors, power transformers, capacitor banks and other electrical equipment. Almost 25% of all electrical failures are caused by bad connections and switchgears are very unpredictable and complex when it comes to arcing and electrical failures. a)	Under rated conductors overheating due to excess loads. b)	Unbalanced and erratic loads. c)	Strained operations by breakers and other critical power elements. Installation of thermal viewing ports can also be a viable solution for this issue. Presence of thermal viewing ports allow the responsible person to look into the switchgear more often and analyze the IR image as and when necessary. 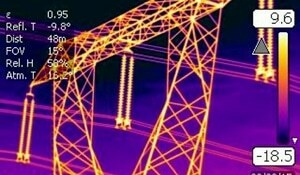 Almost every professional, working on a substation maintenance is well aware of the following benefits of IR thermography. However, debate is always constructive and valuable inputs are welcomed. a)	Considerable reduction in arching and fires related to insulation failures. b)	Prevention of total electrical breakdown. c) Performance analysis of still functional elements. d)	Enhancement of workplace safety. f)	Financial benefits associated with operations and maintenance. g)	Reduction in thermal loss. Using IR technology has its due charm for maintenance guys and improvements for continuous monitoring are being made globally. The topic demands a formal debate among the professionals associated with the industry with more critical approach about specificity and efficacy of infrared thermography in electrical substations. Do not hesitate to leave your impression in the comments section. 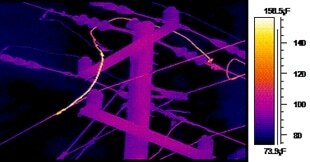 or copy this trackback: http://engineering.electrical-equipment.org/safety/electrical-system-maintenance-importance-of-thermography-mv-lv.html/trackback from your own site.